Plans were unveiled today for a proposed £25million regeneration project which will transform the Banks of the River Foyle and Foyle Bridge in Derry~Londonderry and bring significant economic and health benefits for the city and wider North West region. We are delighted to be part of the team working on the “Our Future Foyle" project which includes proposals for the largest art installation in Northern Ireland. 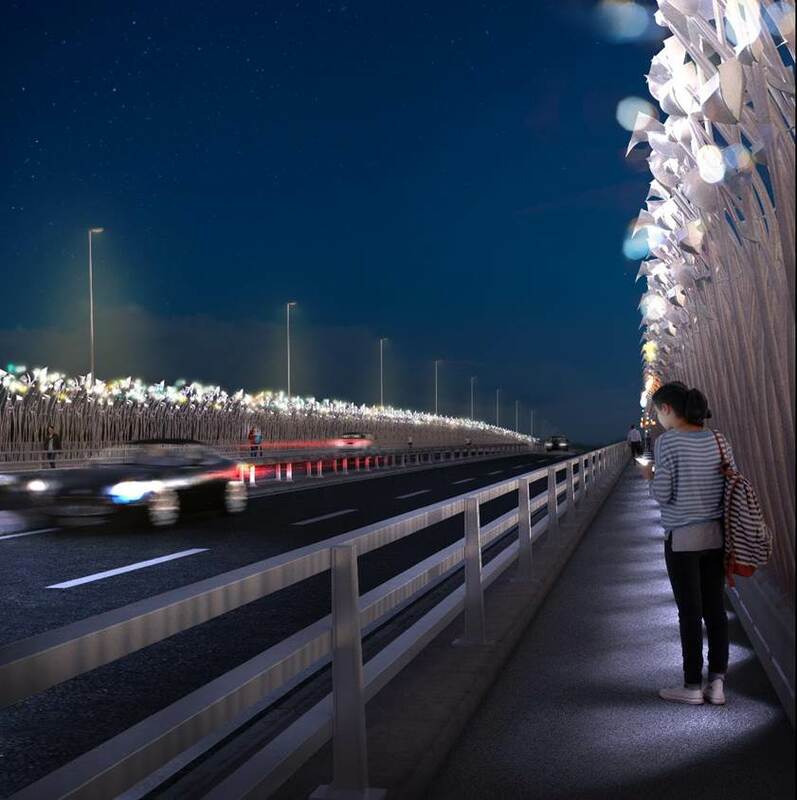 An 800m long illuminated sculptural intervention, designed to become a positive landmark and help prevent suicide, is to be installed on the Foyle Bridge. A first-of-its-kind globally, this project has the potential to lead the way in community digital interaction within Europe and the rest of the world. The concept has been developed over the past two years through extensive community and stakeholder engagement in a bid to transform the banks of the River Foyle and Foyle Bridge by attracting investment, culture and tourism, whilst delivering support for mental health through a series of interventions designed to address and raise awareness of suicide prevention. Foyle Reeds. The art installation and digital health intervention set to transform the Foyle Bridge into an illuminated sculpture of more than 12,000 individual reeds which will act as an effective suicide prevention barrier. Foyle Bubbles. A series of 40 riverside pods; these mobile spaces will be designed to stimulate enterprise and job creation. Foyle Experience. Adding to the continuing regeneration along the river banks with a proposed sculpture park with digital and place based content and events to enliven the river. All three strands of the project have been included in Derry City’s city deal bid. The project is spearheaded by the Royal College of Art’s Helen Hamlyn Centre for Design and the Public Health Agency Northern Ireland. More than 5,000 individuals have been involved in giving their feedback concerning how the river could be used to its full potential, and many of those ideas have been included in the plans. We are currently advising on planning and strategic communications aspects of the proposal. Leading the project team, which includes specialist engineers COWI and RPS, our planning team in Derry is preparing the planning application and working alongside our strategic communications team who are managing media and stakeholder relations for the launch and undertaking a 12 week statutory pre-application consultation prior to submission of the planning application. “Today’s launch is hugely significant as it means we are one step closer to improving people’s physical, mental and social health in Derry/Londonderry. “We have combined art and digital innovation and utilised partnerships with high profile partners across central and local government, the community and corporate sector which will help bring such positive changes to the city. 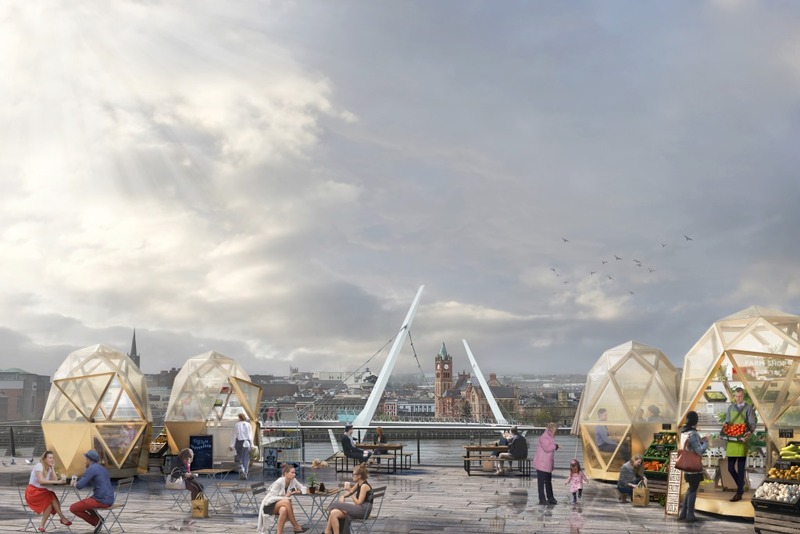 The installations will be digitally interactive and become a symbol of celebration in the life of the city and its people, along the Foyle Bridge and Banks of the Foyle." In 2016 a review of health and well-being undertaken by the Public Health (PHA) in consultation with local partners identified that additional capacity and expertise were needed to stimulate new ideas and working arrangements to bring about sustainable change. Brendan Bonner from the PHA explains: “Northern Ireland has the highest rate of suicide in the UK. The recent spike in incidents on the river has contributed to our strong desire to do something positive to help tackle this head-on. “Research into mental health shows that art installations which evoke nature can make people feel less anxious; another shows that that investing in places that have meaning to communities can result in a sense of pride in a neighbourhood. The entire project has elements of both of these theories and we believe animating the river through cultural led regeneration will link and continue the regeneration of the city, the Foyle and the links between its three sister bridges. “We have worked very hard with the Helen Hamlyn Centre for Design at the Royal College of Art and indeed our other partners, The Samaritans, Foyle Search and Rescue as well as regional and local government to ensure that “Our Future Foyle” delivers interventions that will prevent suicide incidences, promote a more positive perception of the River Foyle and Foyle Bridge, and drive up awareness of mental health across the city. A public pre-application community consultation on the proposals will begin on the 5 November, further information about Our Future Foyle can be found at: www.futurefoyle.org. For more information about the project, please watch the short video. The planning application is expected to be submitted in early 2019.